Join us in congratulating Sharon R. Long! 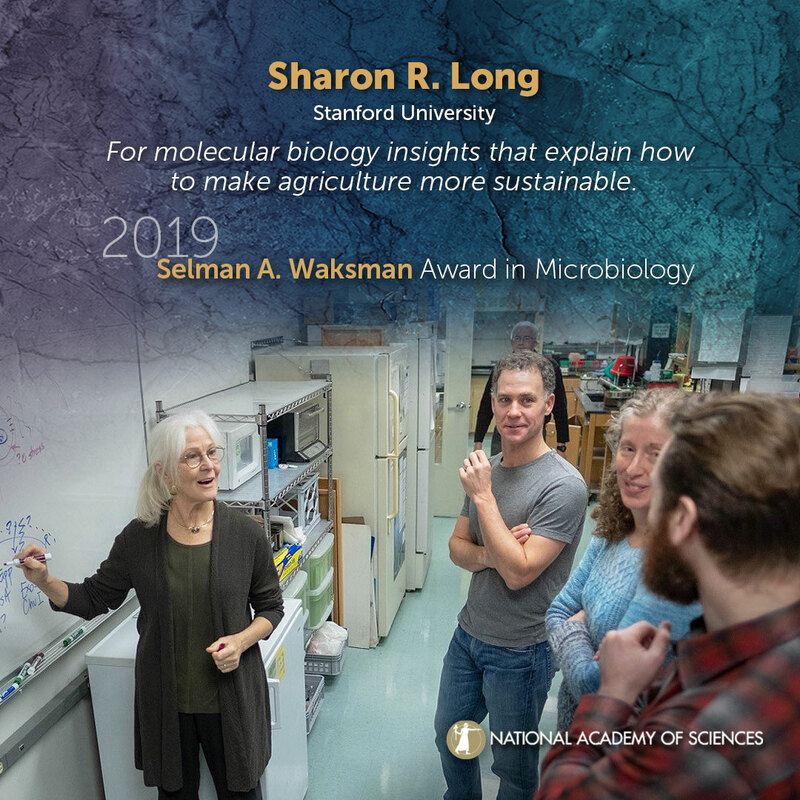 Sharon R. Long, Stanford University, will receive the 2019 Selman A. Waksman Award in Microbiology. Using a combination of genetics, biochemistry, chemistry, cell biology, physiology and other approaches, Long has made critical discoveries regarding the symbiotic relationship between Rhizobium bacteria and legume plants, which include key crops such as alfalfa and soybeans. Her groundbreaking discovery of “nod” genes, which allow bacteria to send signals to host plants, opened new fields of study for other researchers around the world. Long used this discovery to launch new research showing how plants “interpret” bacterial signals through novel mechanisms, and she pioneered genomic investigations of the symbiosis. Her ongoing research has revealed critical processes of interaction between plants and microbes, as well as information that enhances our understanding of bacterial gene expression and plant development. Throughout her career, Long has also served as a scientific leader, inspiring not just the science of plant-microbe interactions but also, as one of the first women in her field, paving the way for numerous students and professionals to follow in her footsteps. Established by the Waksman Foundation for Microbiology, the Selman A. Waksman Award recognizes a major advance in the field of microbiology. The award is presented with a $20,000 prize. Please use the following sample social media posts and other materials to congratulate Sharon R. Long.